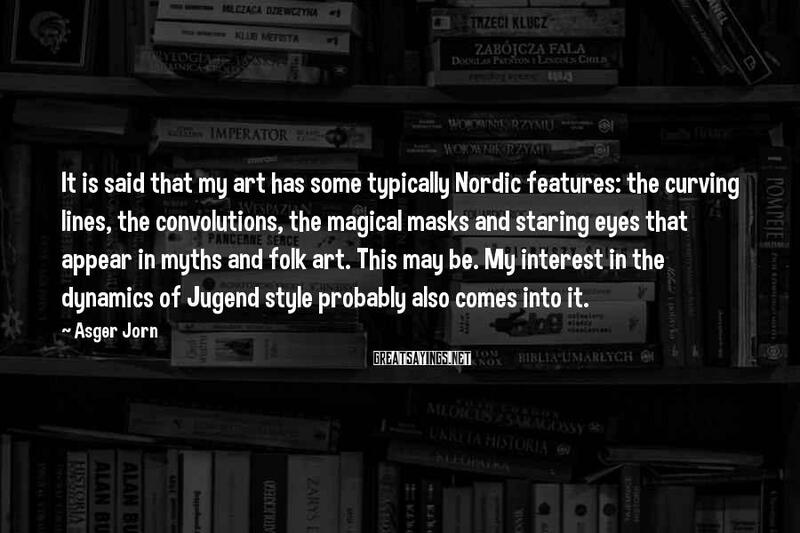 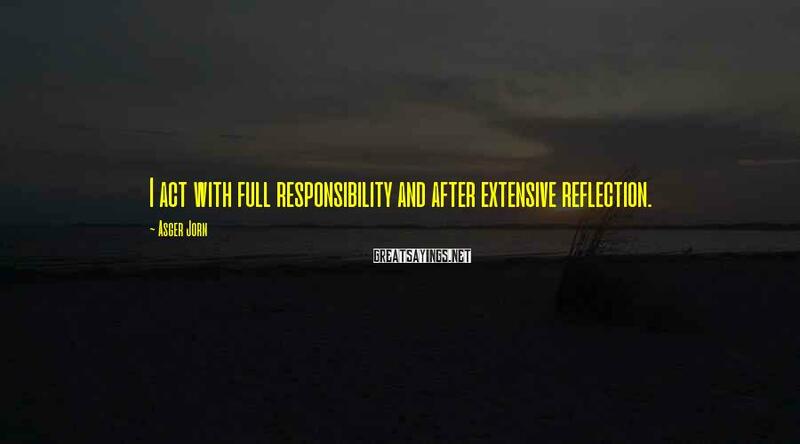 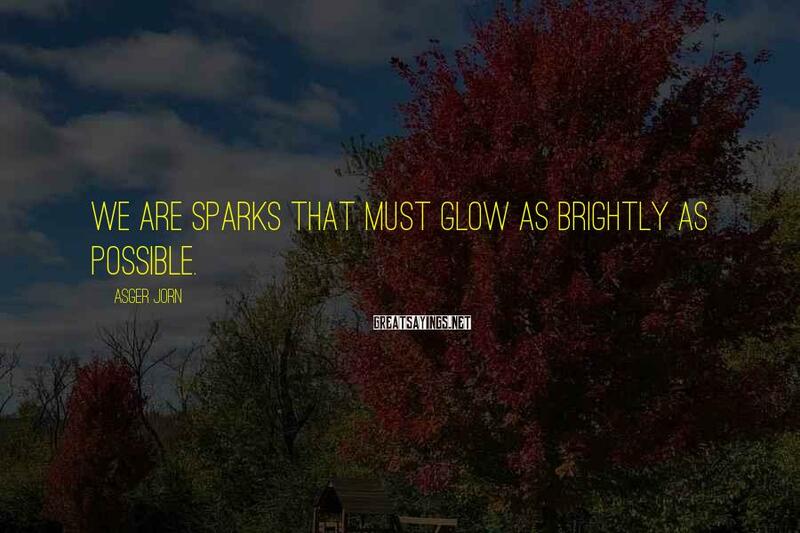 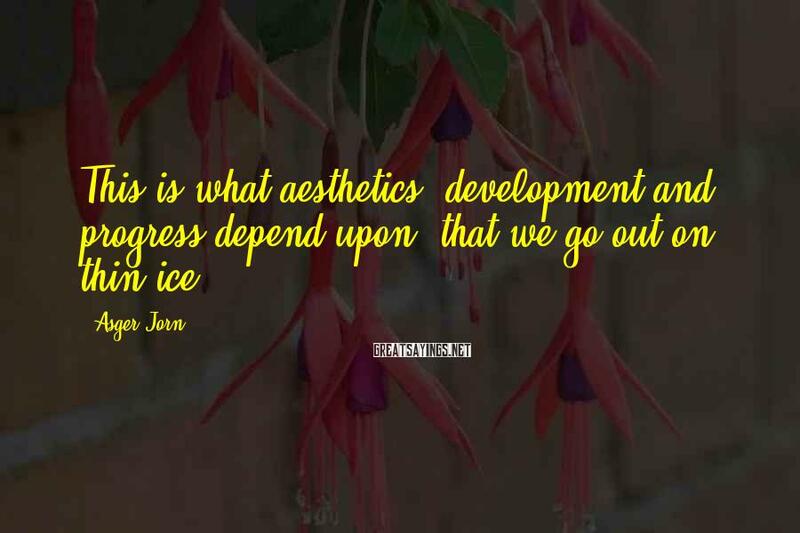 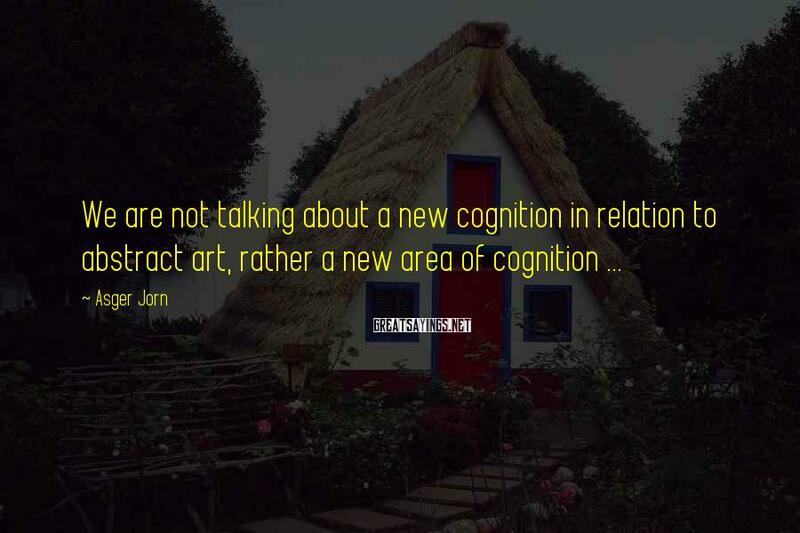 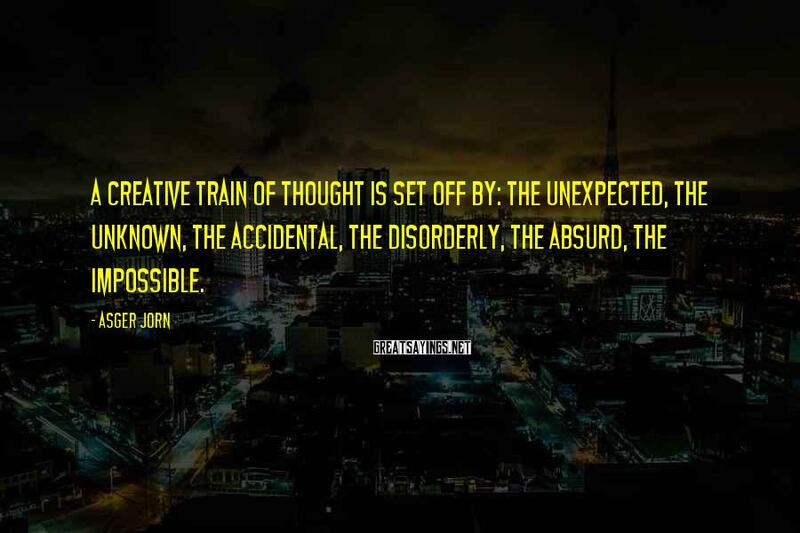 37 Asger Jorn Famous Sayings, Quotes and Quotation. 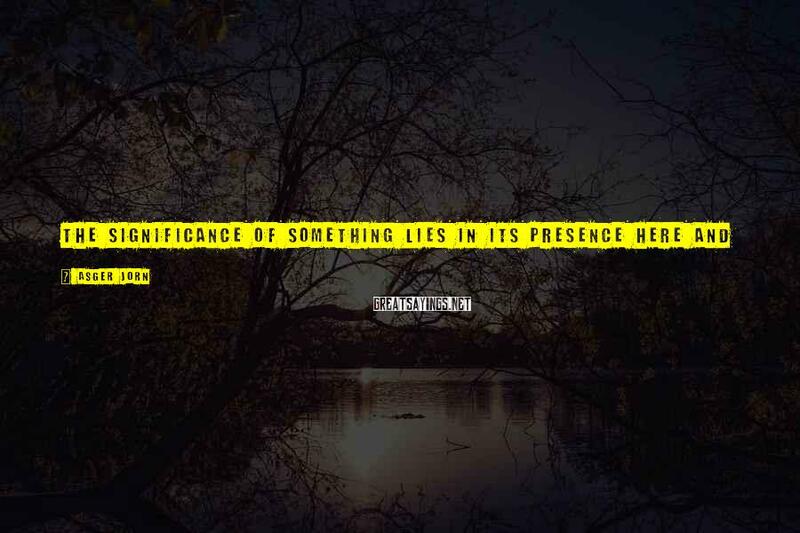 The significance of something lies in its presence here and now. 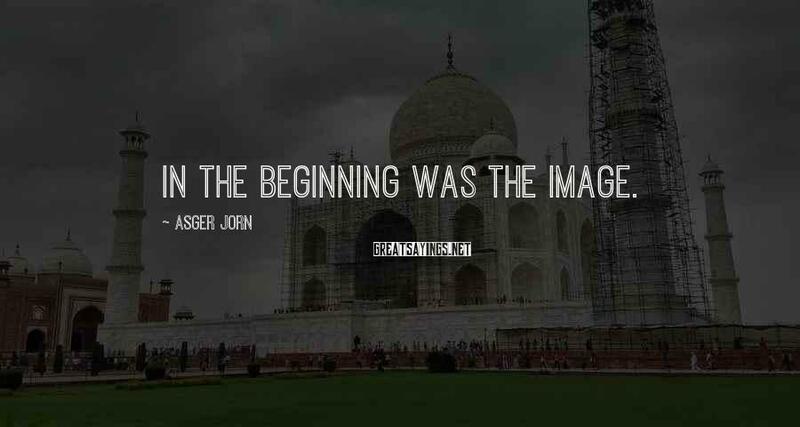 I don't care what it has been or what it will become. 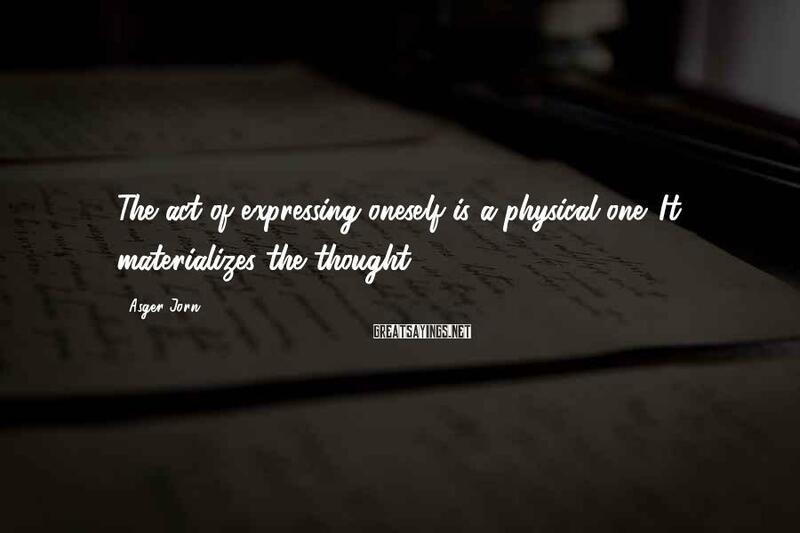 It is the experience of things that matters, the confrontation with things. 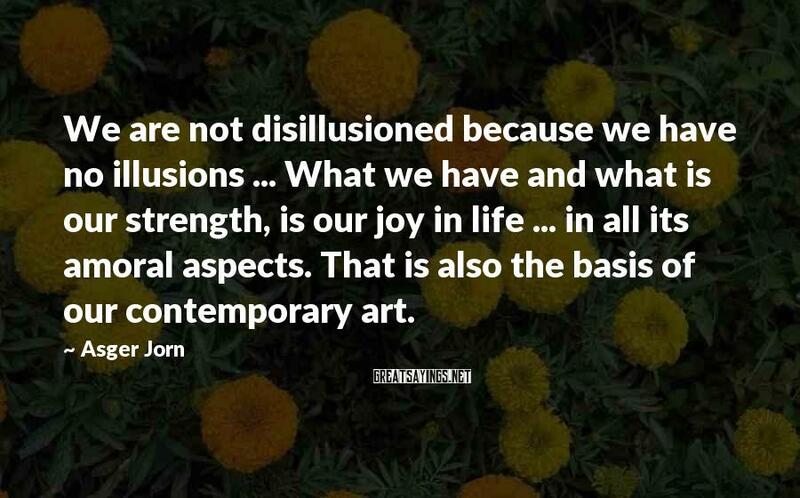 We are not disillusioned because we have no illusions ... What we have and what is our strength, is our joy in life ... in all its amoral aspects. 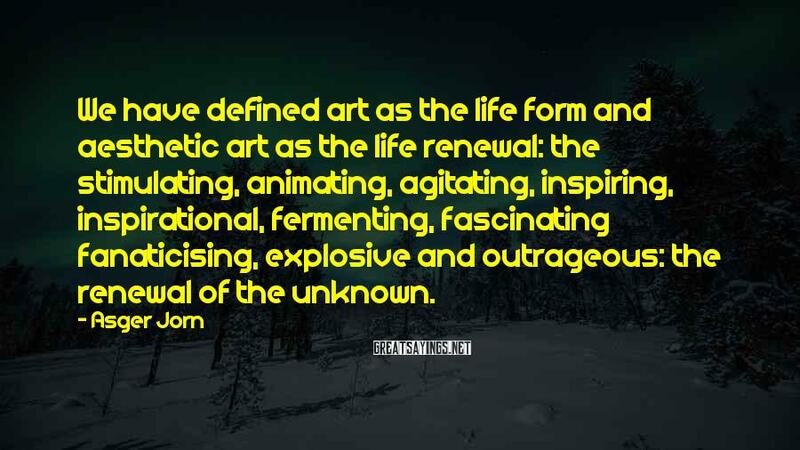 That is also the basis of our contemporary art. 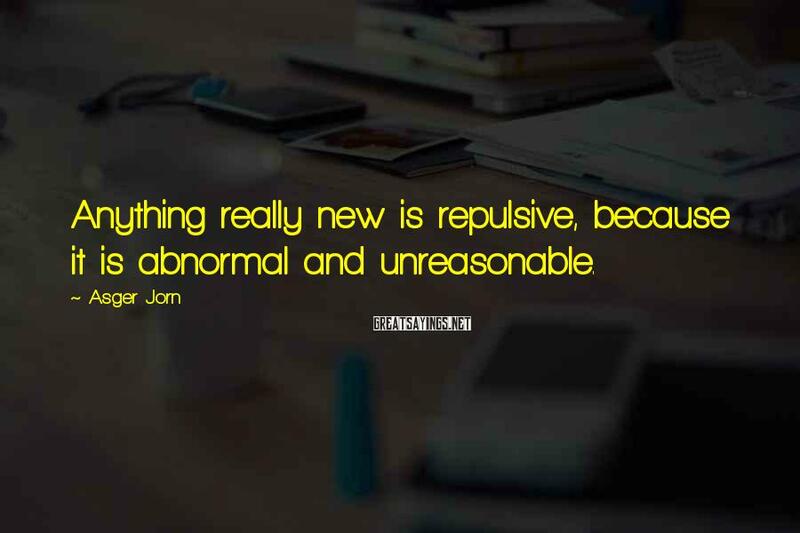 Anything really new is repulsive, because it is abnormal and unreasonable. 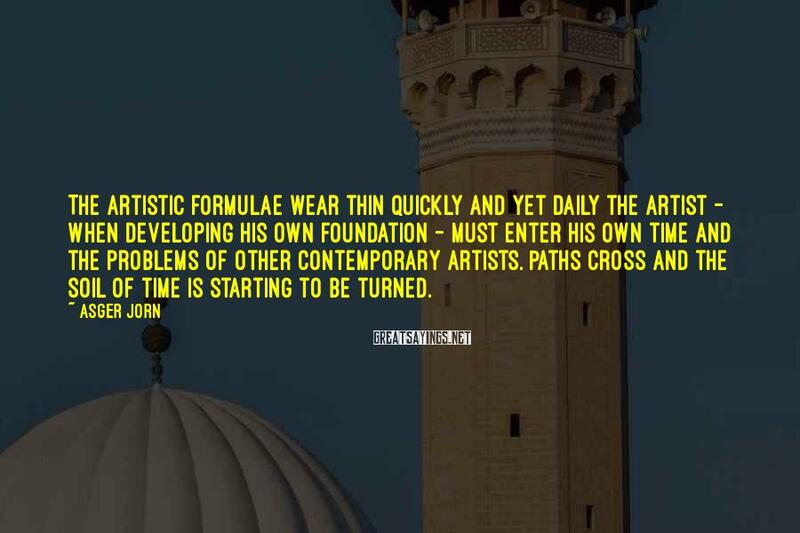 The artistic formulae wear thin quickly and yet daily the artist - when developing his own foundation - must enter his own time and the problems of other contemporary artists. 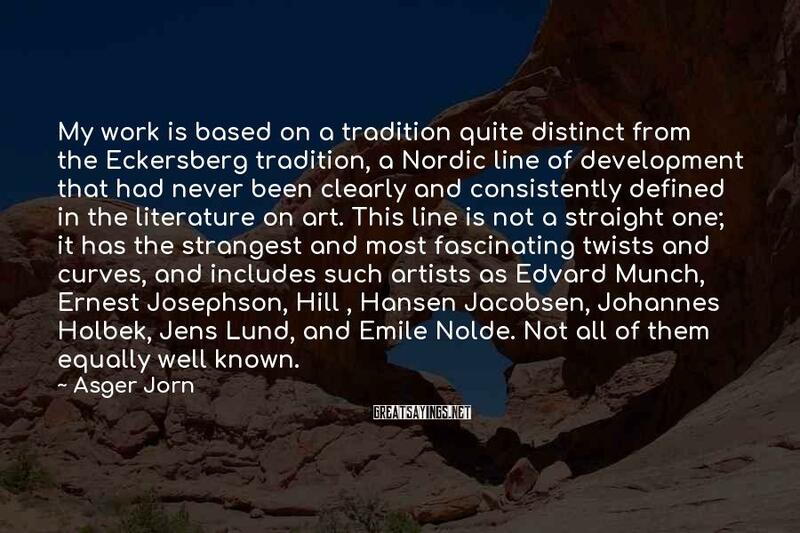 Paths cross and the soil of time is starting to be turned. 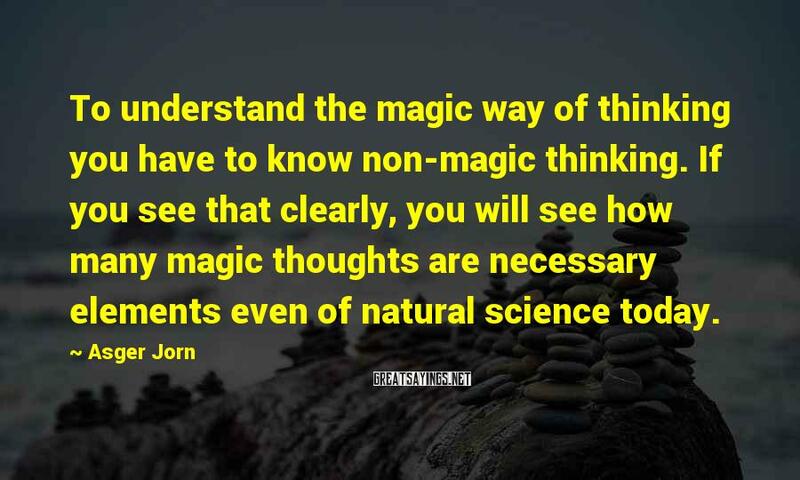 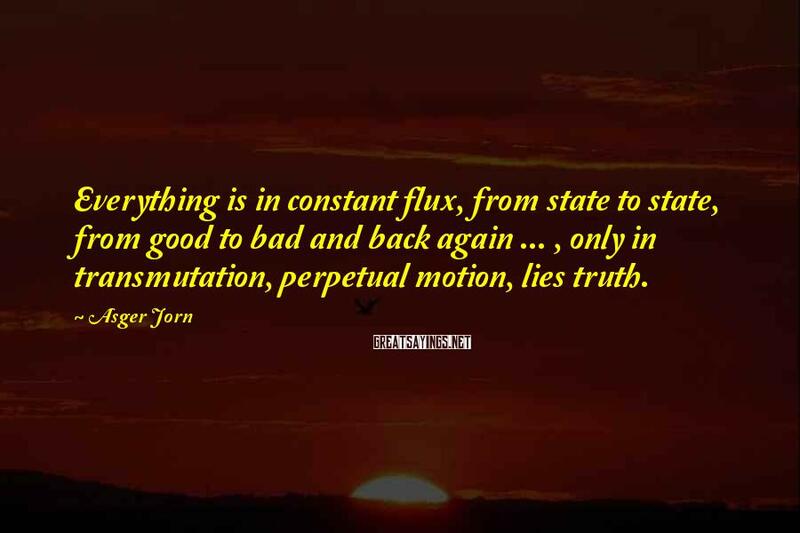 Everything is in constant flux, from state to state, from good to bad and back again ... , only in transmutation, perpetual motion, lies truth. 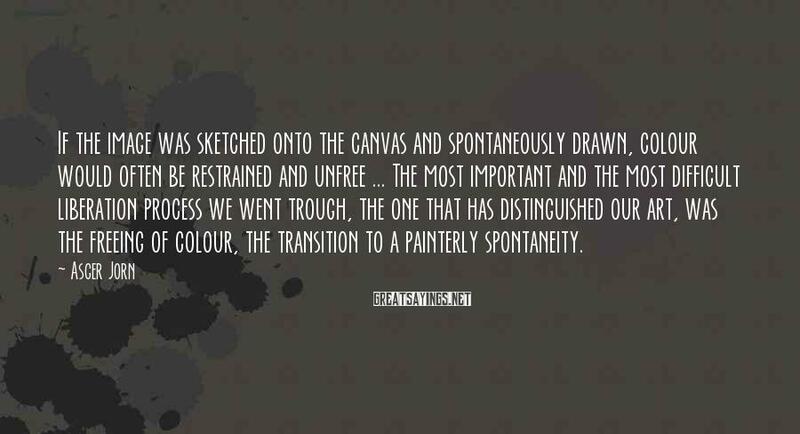 If the image was sketched onto the canvas and spontaneously drawn, colour would often be restrained and unfree ... 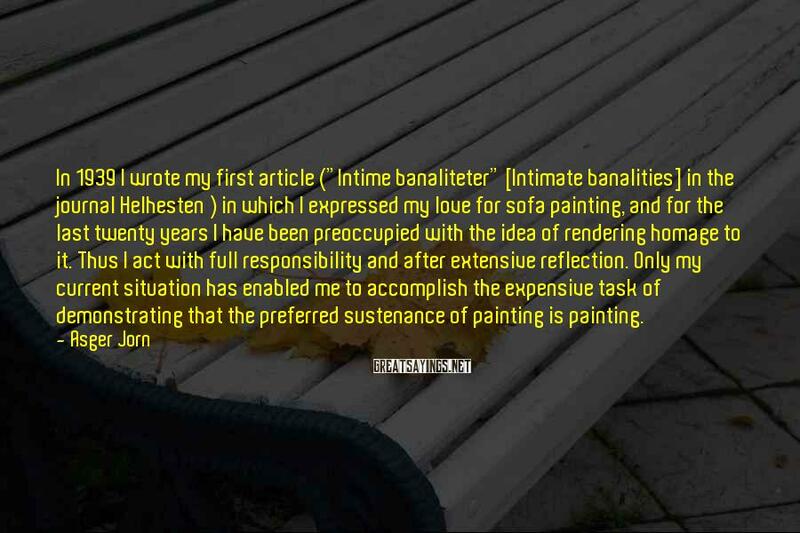 The most important and the most difficult liberation process we went trough, the one that has distinguished our art, was the freeing of colour, the transition to a painterly spontaneity. 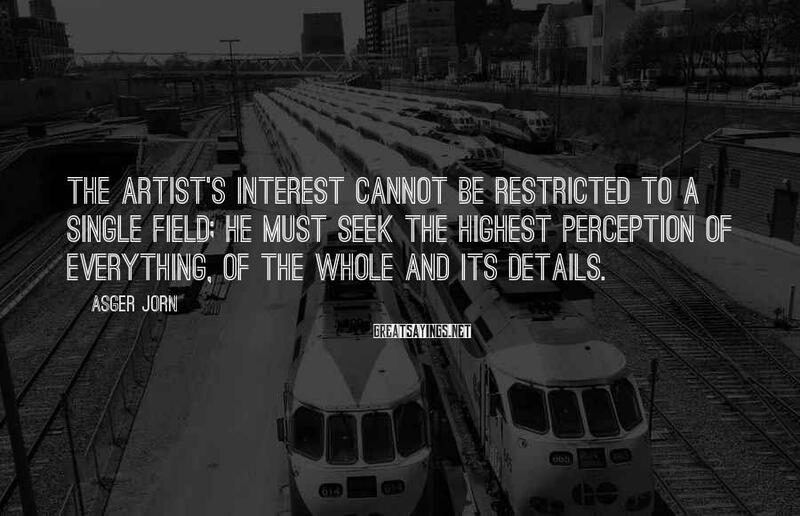 The artist's interest cannot be restricted to a single field; he must seek the highest perception of everything, of the whole and its details. 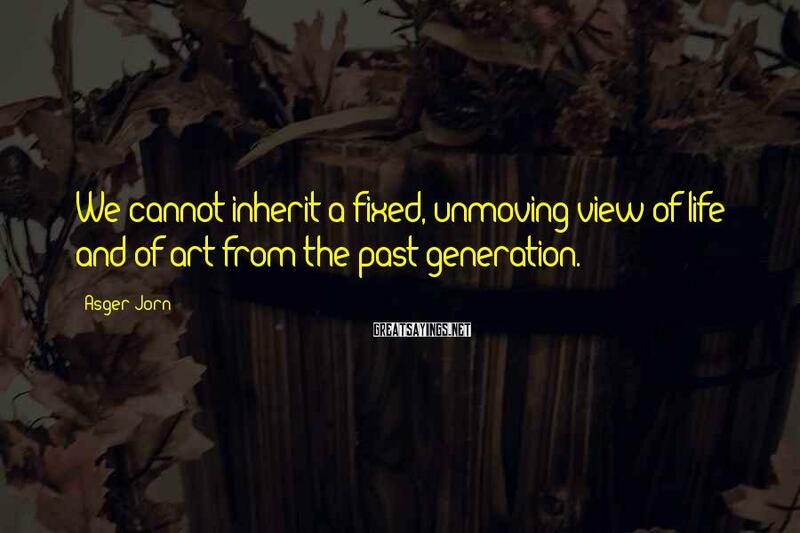 We cannot inherit a fixed, unmoving view of life and of art from the past generation. 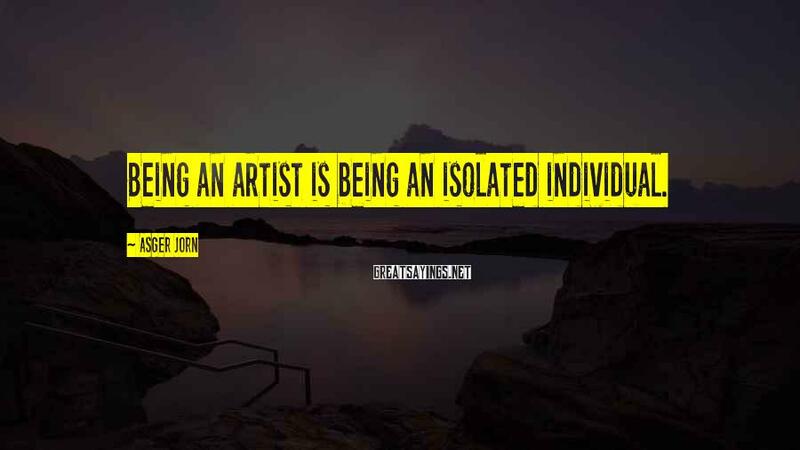 During every really creative act, the artist finds himself homeless. 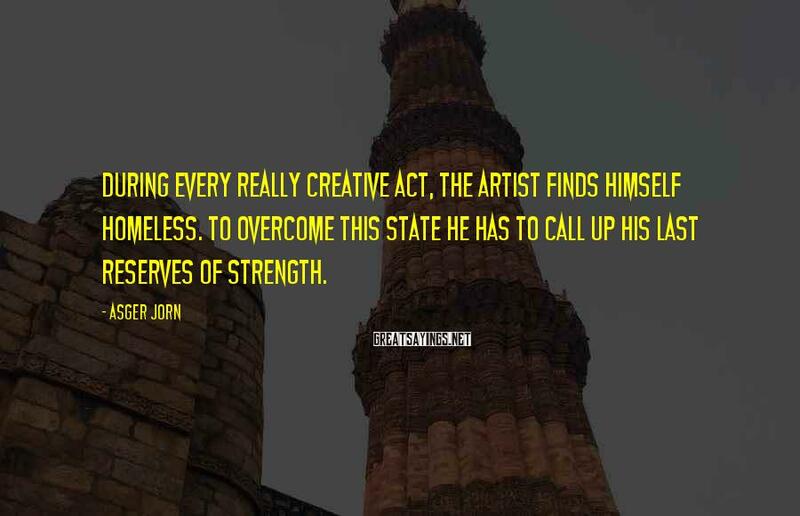 To overcome this state he has to call up his last reserves of strength. 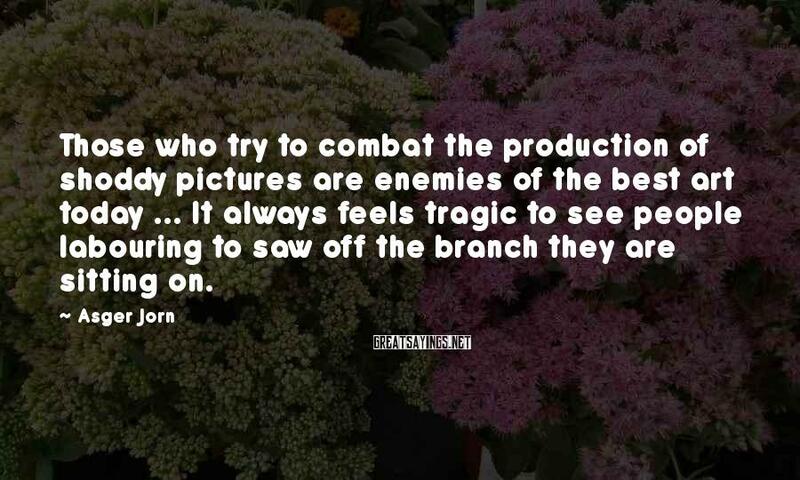 Those who try to combat the production of shoddy pictures are enemies of the best art today ... 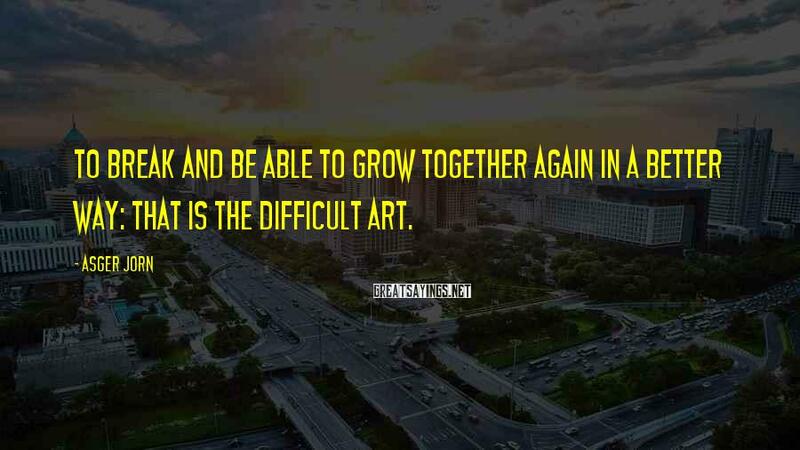 It always feels tragic to see people labouring to saw off the branch they are sitting on. 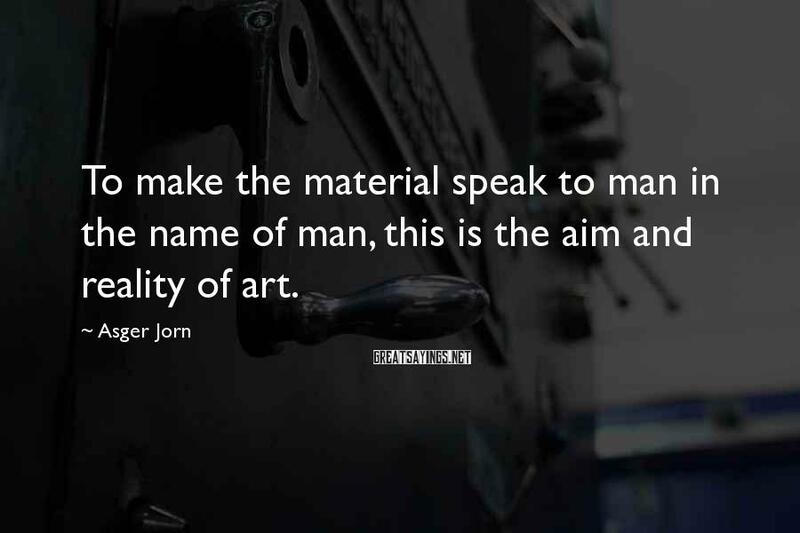 True realism lies in the search for the expression of forms faithful to their content. 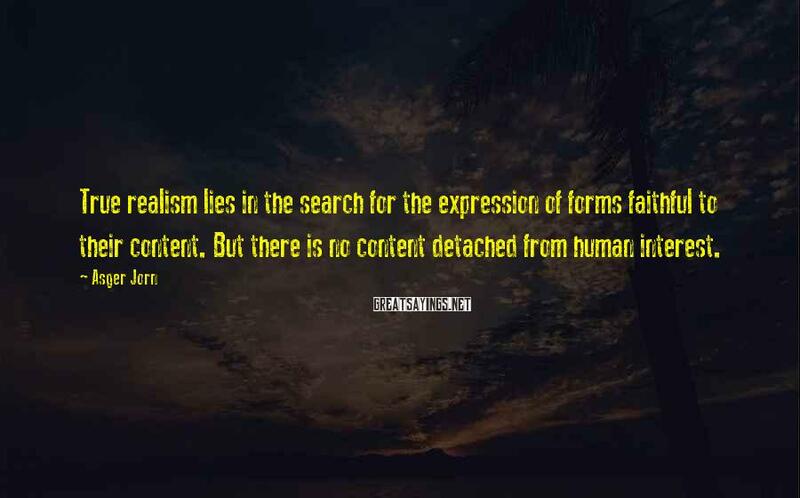 But there is no content detached from human interest. 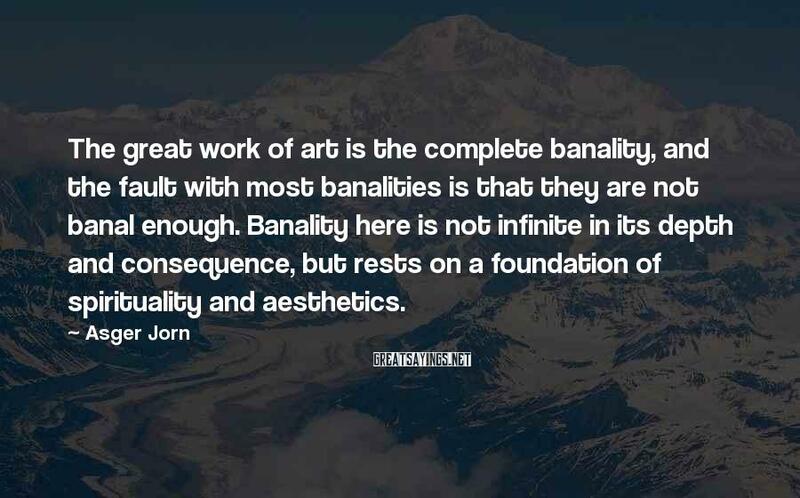 Beautiful, ugly, impressive, disgusting, meaningless, grim, contradictory etc ... 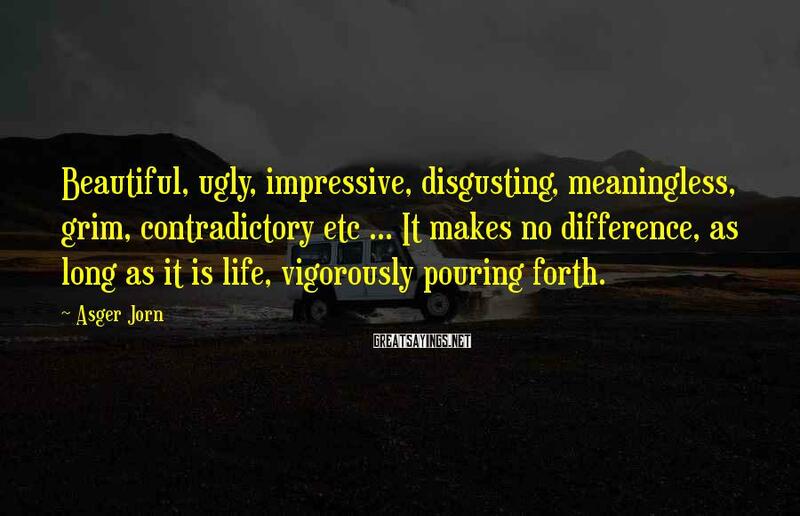 It makes no difference, as long as it is life, vigorously pouring forth. 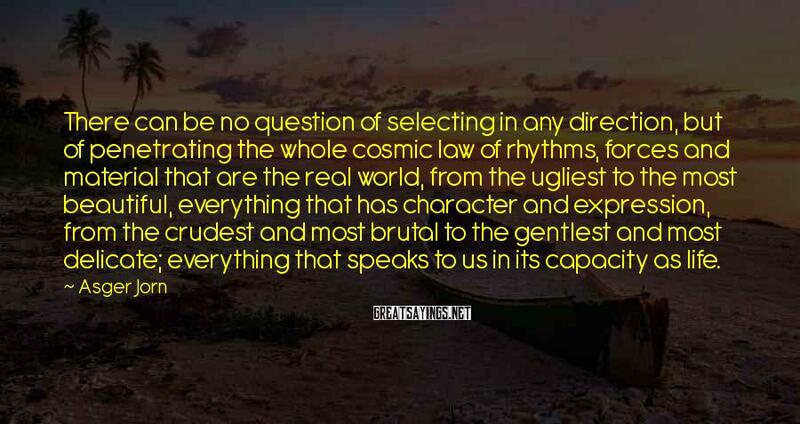 There can be no question of selecting in any direction, but of penetrating the whole cosmic law of rhythms, forces and material that are the real world, from the ugliest to the most beautiful, everything that has character and expression, from the crudest and most brutal to the gentlest and most delicate; everything that speaks to us in its capacity as life. 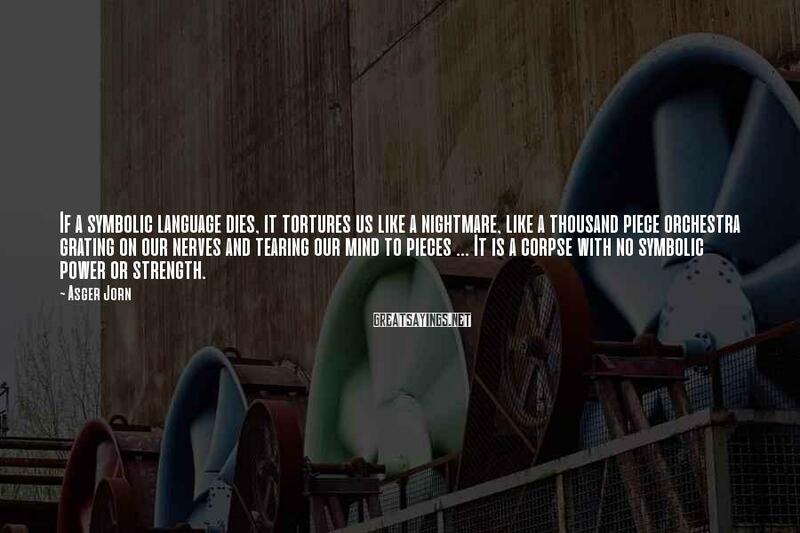 If a symbolic language dies, it tortures us like a nightmare, like a thousand piece orchestra grating on our nerves and tearing our mind to pieces ... 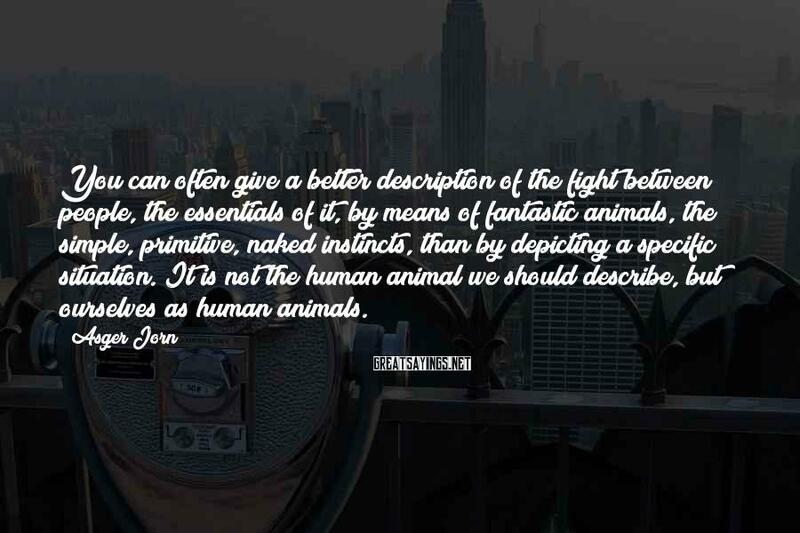 It is a corpse with no symbolic power or strength. 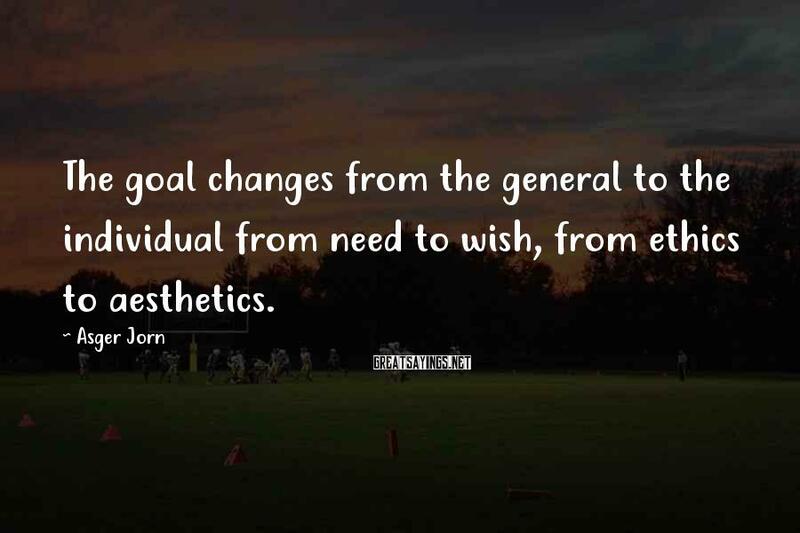 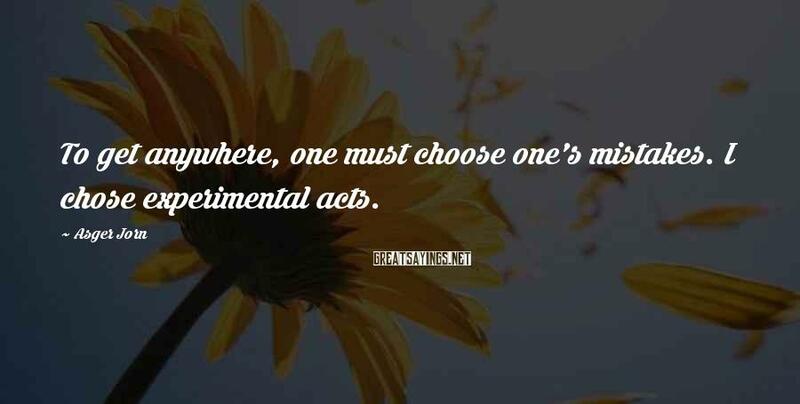 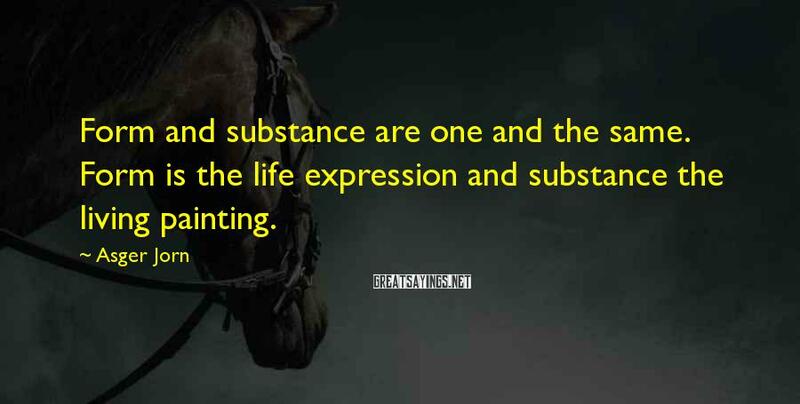 Form and substance are one and the same. 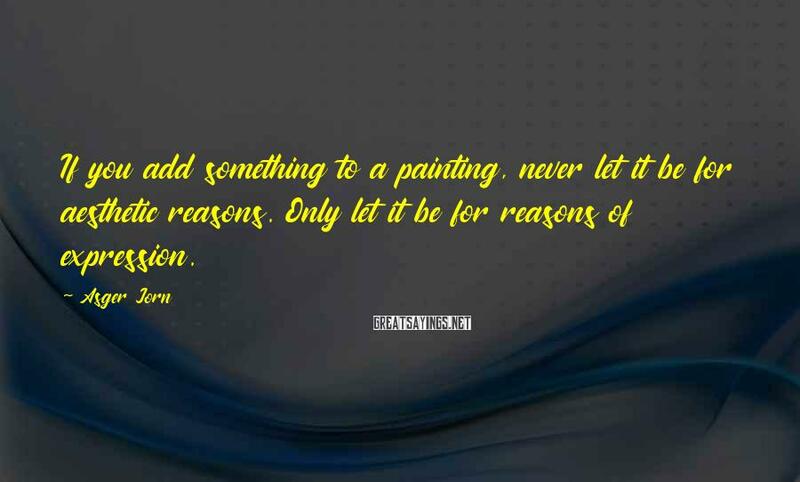 Form is the life expression and substance the living painting. 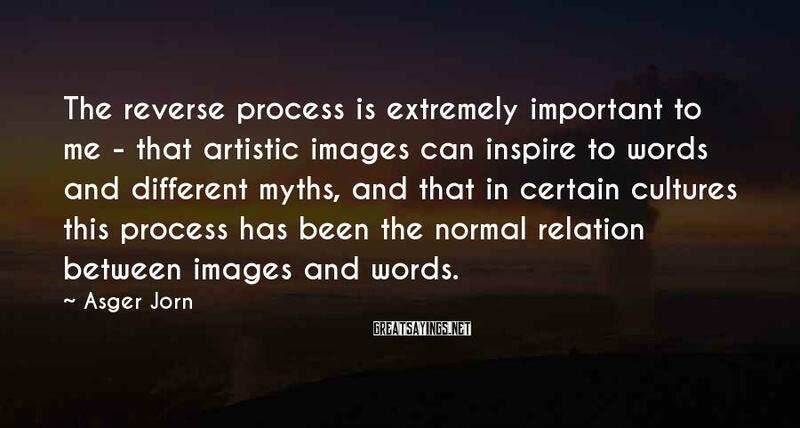 The reverse process is extremely important to me - that artistic images can inspire to words and different myths, and that in certain cultures this process has been the normal relation between images and words. 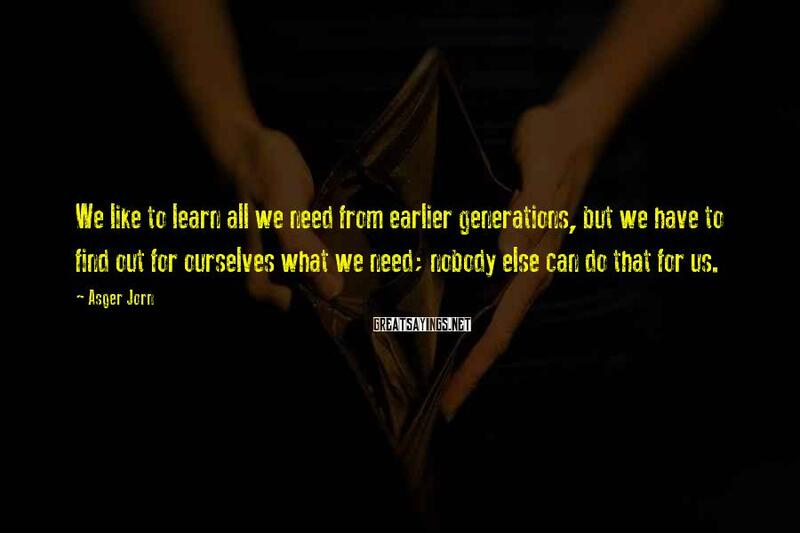 We like to learn all we need from earlier generations, but we have to find out for ourselves what we need; nobody else can do that for us.